The author offers a paradigm-shifting view of the structure of material and verbal communication, based on the mother-child experience and confirmed by recent research in infant psychology. This view justifies a relational epistemology that informs the material gift economy, as well as the structure of language itself. 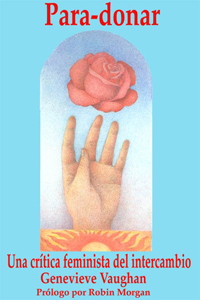 Provisioning economies give value to the receivers, and the circulation of gifts consolidates community. Understanding language as verbal gifting unites other orientations with reason, to liberate us from biopathic, patriarchal conceptions of humanity. 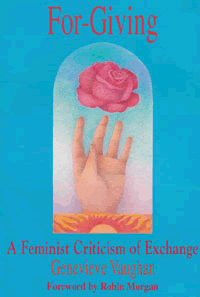 Sketched against this background, Vaughan introduces a conception of monetized exchange as a gift-denying and expropriating psychological mechanism, which is an unintended collective by product of verbal communication. 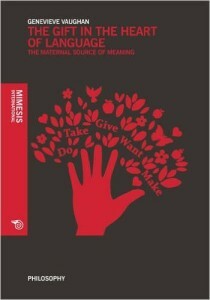 Homo Donans In this book Genevieve weaves together some of her newest articles exploring the possibility that gift giving is a fundamental interpretative key for the understanding of language and life, a key which has been cancelled by the ideology and practise of patriarchal capitalism. The restoration of gift giving to a central place in our attention, gives us a way to reconceptualize human beings as Homo Donans, not just Homo Sapiens, or worse, Homo Economicus. 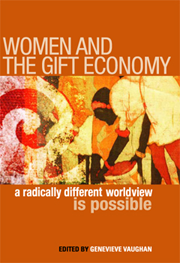 The Gift / Il Dono A collection of essays about the gift economy by feminist scholars and activists. Edited by Genevieve Vaughan. Published in Italy by Athanor. 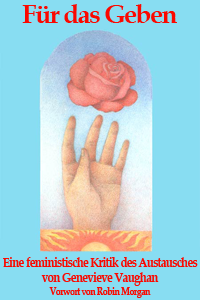 Los Niños de la Madre Naturaleza A children’s book about the Gift Economy. Also available in Spanish. 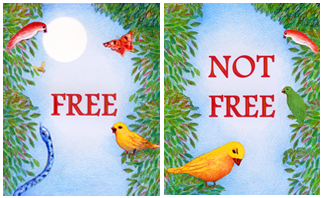 Not Free The adventures of Trilly the Canary teach the gift economy to children. 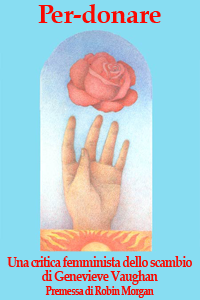 Illustrations by Liliana Wilson. Ours Together Land Illustrations by Liliana Wilson.